Migraines, as you know if you suffer from them, are a sneaky, sneaky beast that can overtake your life for, well, anywhere from an hour to two days. And no, migraines are not just a "really bad headache." The severe throbbing pain or pulsing sensation is often accompanied by nausea, vomiting, and extreme sensitivity to light and sound, according to Mayo Clinic. It is often suggested that people keep track of their headaches — when they occur, if they experienced any known triggers and any new symptoms, for example — in an effort to identify patterns. While a pen and paper might be the better option when you're in the throes of a migraine — with the light sensitivity and general discomfort and all — an app on your smartphone might be the more realistic option. The phone is most always nearby, after all. As it turns out, there's actually quite a few options when it comes to migraine and headache apps. 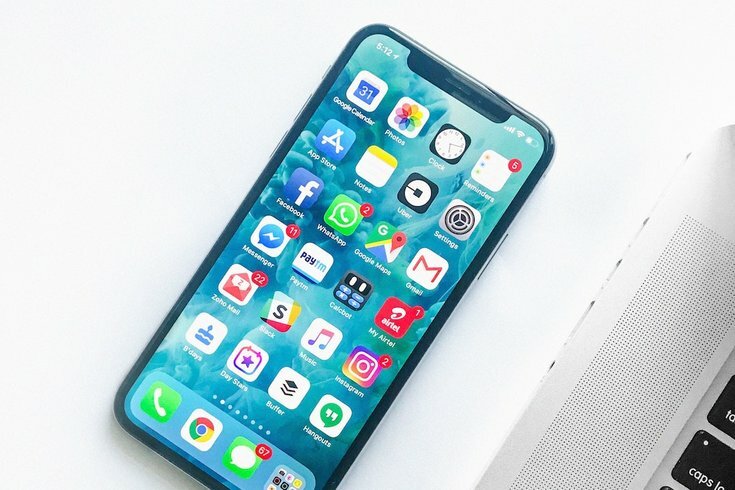 Below you'll find a roundup of helpful apps for migraine suffers including a brief description of what the app does, it's rating in the app store and how much it costs. How it works: Arguably the best feature of this app is its "bother me later" button, which allows you to delay prompts until your migraine has passed. Also, it helps your doctor to assess the effectiveness of prescribed medication and relief methods. How it works: This fully-personalized app tracks your triggers, and also maps out "protectors," which are things that decrease your risk of an attack, such as medications, caffeine and exercise. Additionally, N1 data is reviewed by experts and shared in clinical studies (the National Headache Society backs it), so make sure you're OK with the privacy statement before use. Cost: Free to download, eventually charges $49.99 for a lifetime premium subscription. How it works: This app, centered around chronic pain in general, rather than migraines specifically, is a community-based platform that connects you with others who are sharing your pain. Similar to Facebook, you create a profile to record your symptoms, treatments, frequency, and so forth. The app then connects you with fellow patients with similar experiences, so you’re able to swap feedback and tips. How it works: Sure, hypnosis sounds a little off-kilter, but if you're migraines are bad and frequent enough, you're probably down to try anything. The app aims to train you to ease and relax your body to ease the discomfort of migraine pain through the soothing voice of a certified hypnotherapist, plus peaceful nature sounds and background music. With daily listening, it claims to reduce the pain and discomfort of migraine pain in just one to three weeks.